Mood Swings represents that place where rock, country and the blues all meet. Leon Laudenbach has taken his lifelong musical influences and converged them on this release. 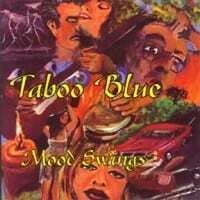 Mood Swings implies shades of the Stones, Dave Edmunds, and a big blend of blues and rockabilly that creates the sound of Taboo Blue. This is not your typical mixed bag song collection. The lyrics represent the thoughts, feelings and emotions of folks like you and me and not those of famous philosophers, and that's ok.
Taboo Blue has evolved from a searching for an identity into a hard working band for the people. The combination of Chris Schuette's honky tonk style piano and Sparky Anderson's blues harp complete the package. Take a ride down the Minnesota back roads in your '67 Fairlane and check out Mood Swings!